SE Theatre Company are bringing their 2018 production of Tim Crouch’s I, Banquo to The Vaults on Friday 31st May and Saturday 1st June 2019. 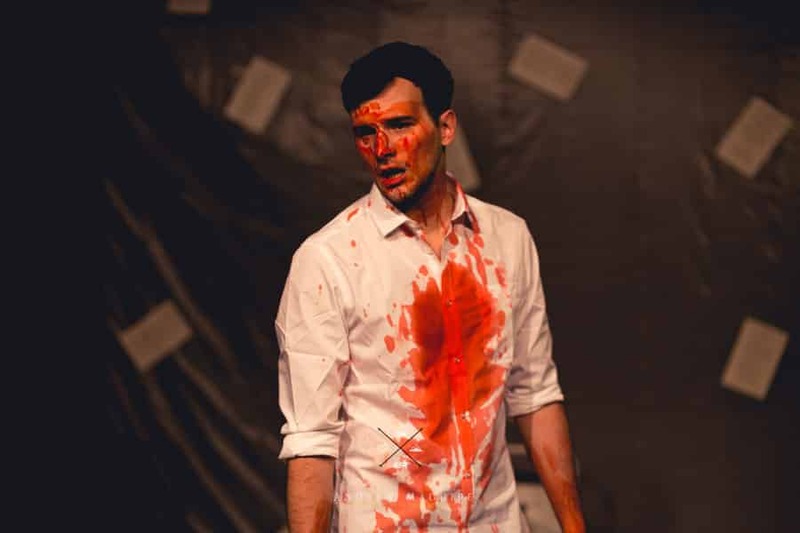 A blood-shot, story-telling journey into the heart of Shakespeare’s Macbeth, told through the eyes of his murdered best friend, this critically acclaimed one-man show combines classic theatre and modern story-telling. This new staging from SE Theatre Company opened at the Attic Theatre in the Bards hometown, Stratford-upon-Avon, in November last year to critical acclaim. I, Banquo is performed by Simão Vaz and directed by Elliott Wallis. I, Banquo will be at The Vaults for just 2 days on Friday 31st May 8 pm and Saturday 1st June at 2 pm, 5 pm and 8 pm.